I bought this faulty pcb from ebay at a very cheap price. 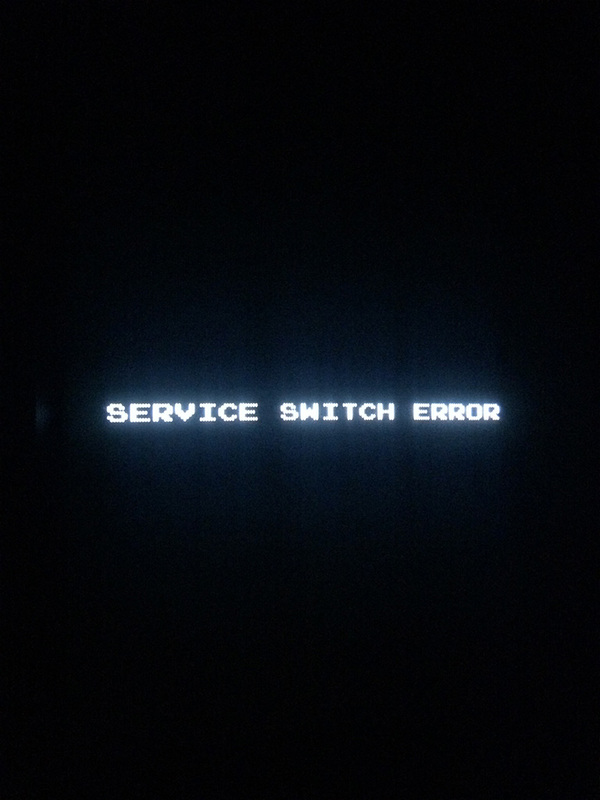 The seller mentioned that it had a “service switch error” and didn’t boot. 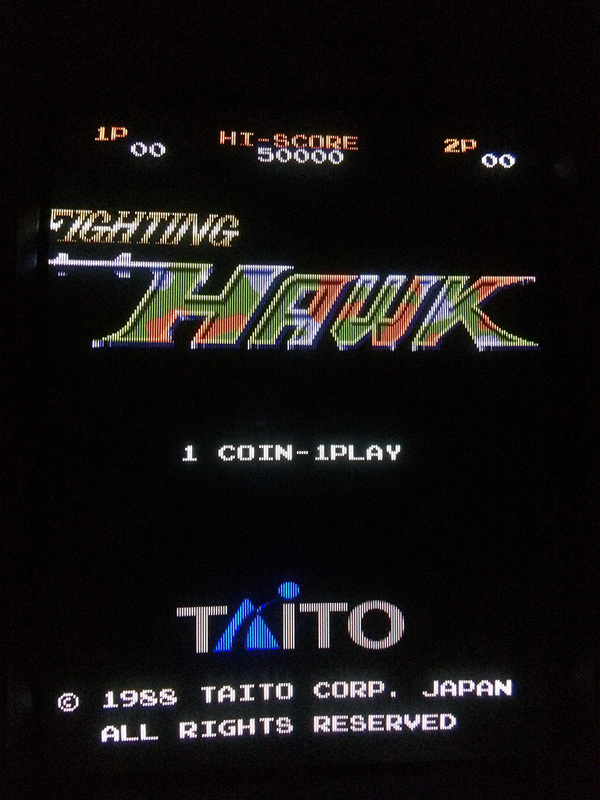 Several Taito games from late 80s to early 90s use a custom chip marked TC0220IOC which handles the inputs. 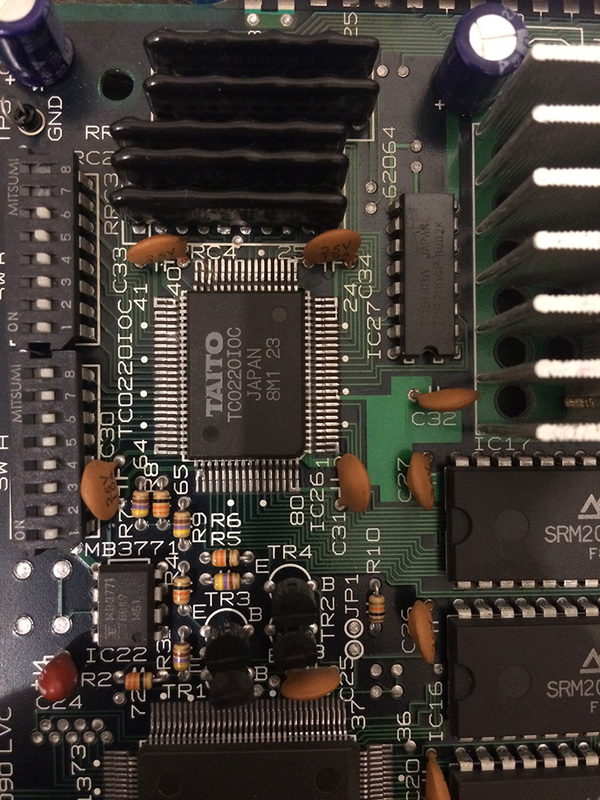 Before desoldering the custom chip, I checked the continuity of the Taito network resistor RRC4 (on Fighting hawk pcb) and I noticed that it had a very low resistance (less than 1Kohm) to +5V in comparison to the other pins which had a 10kohm resistance. So, for what it costed I proceeded to desolder the network resistor and see if the pcb booted. The game did boot infact and it was a good sign, meaning that the problem didn’t come from the custom chip. 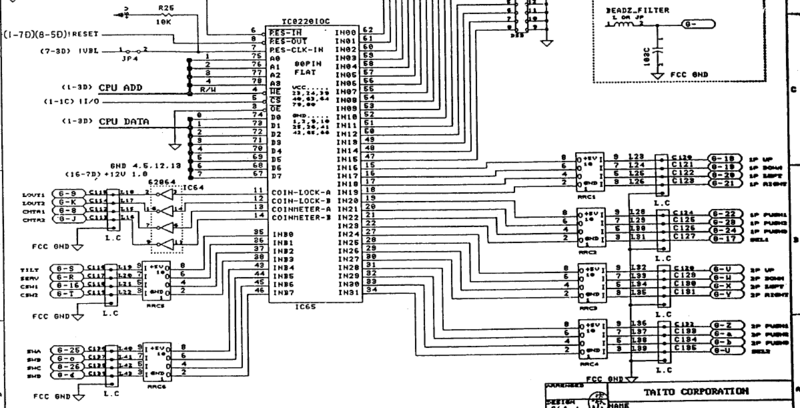 I found the same network resistance on a scrap taito pcb and the service switch was fixed but unfortunately the airplane was going up and left all the time and fired and thew bombs continuously. After running the test mode, I noticed that all P1 and some P2 inputs were triggered! To end the story short, I had to exchange ALL the network resistances except one to fix the game. 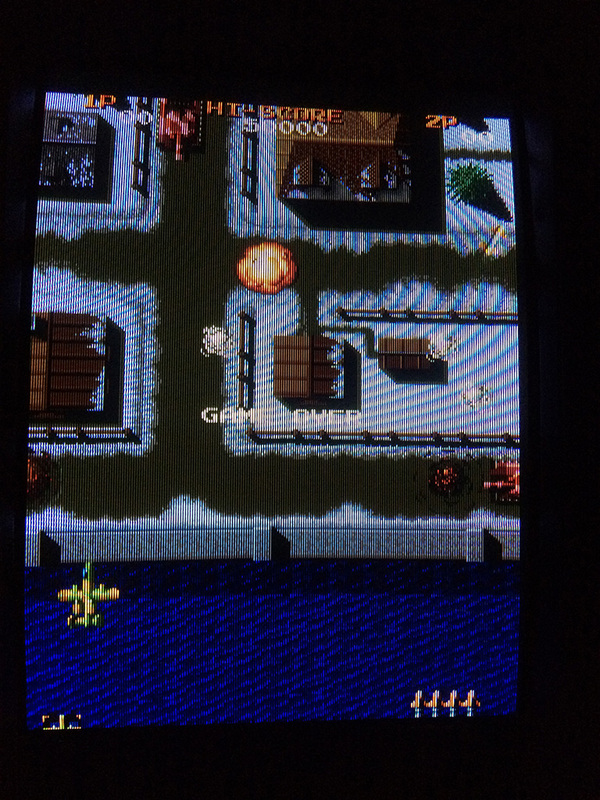 Looks like the game was connected reversed at one point and the network resistances probably protected the custom chip. i bought a fighting hawk pcb a few months ago. i never saw such a small pcb before. i noticed that the fighting hawk require -5 volts for sound.